The second half of this year has seen me doing my share of travelling. 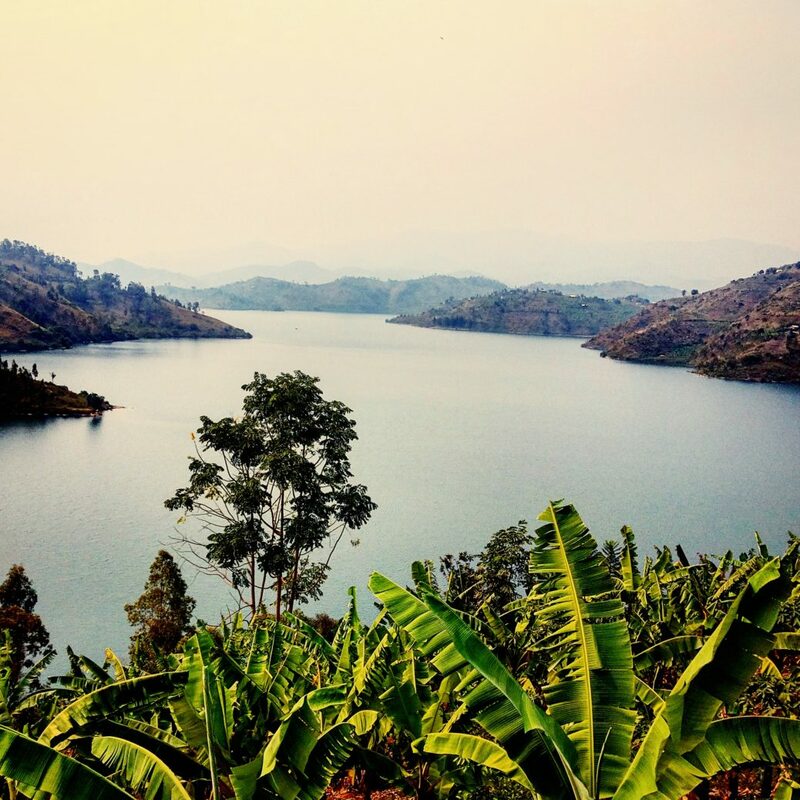 First it was to Northern Tanzania, then Uganda, Rwanda, and now back to Uganda again. My Instagram gallery has been mirroring a similar route, though also including destinations such as Nairobi and Mikumi National Park. I’ve had lots of fun sharing these pics with my followers on Instagram, and since I know that many of you, who read this blog, are not active Instagram users, I thought I’d share the best of those pictures with you here. Please be sure to let me know what you think in the comment section below. 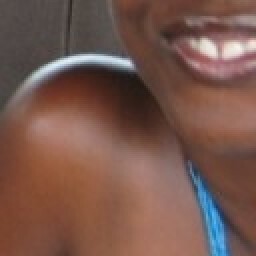 In my mother’s language, Runyankore, there is a saying which translates roughly to “a name bewitches its owner”, meaning that a name causes someone or something to be a certain way. When I visited Mediterraneo in Kampala, Uganda, I was immediately reminded of this saying. Just as its namesake restaurants in Dar es Salaam and Nairobi, Mediterraneo Kampala was a feast for the eyes. The wines were great and the menu to die for. The actual food though, just like at Mediterraneo Dar es Salaam, left something to be desired. The Mediterraneo Restaurant in Kampala is located at the Villa Kololo boutique hotel (Booking.com rating: 8.9/10 – “Fabulous”) on Acacia Avenue. Find out more about, or book your stay at, Villa Kololo here. 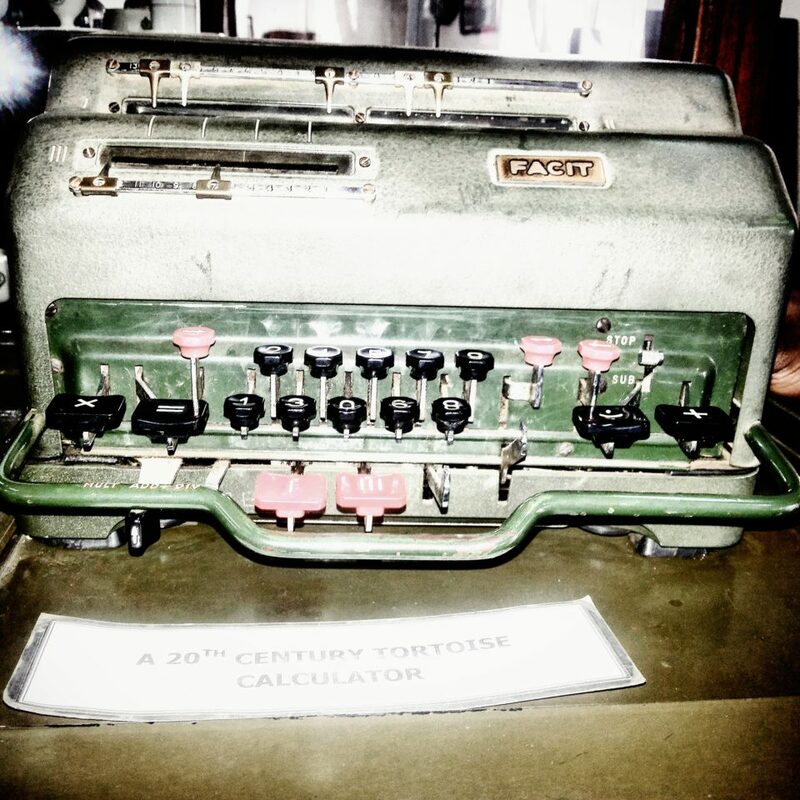 A mid-20th-century Facit electro-mechanical calculator housed at the Nairobi Railway Museum in Kenya. This Swedish-made calculator could multiply a 9-digit number by an 8-digit number and give a 13-digit answer. It could also add, subtract, and divide. In the midst of travelling and attending one of the most elegant weddings I have ever been to, I completely forgot to share my latest post with you. 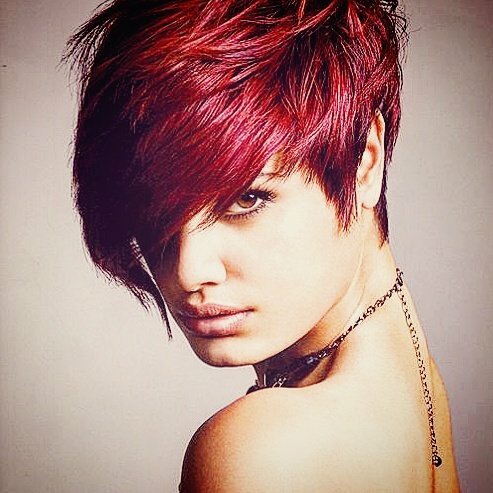 Check it out on the blog. 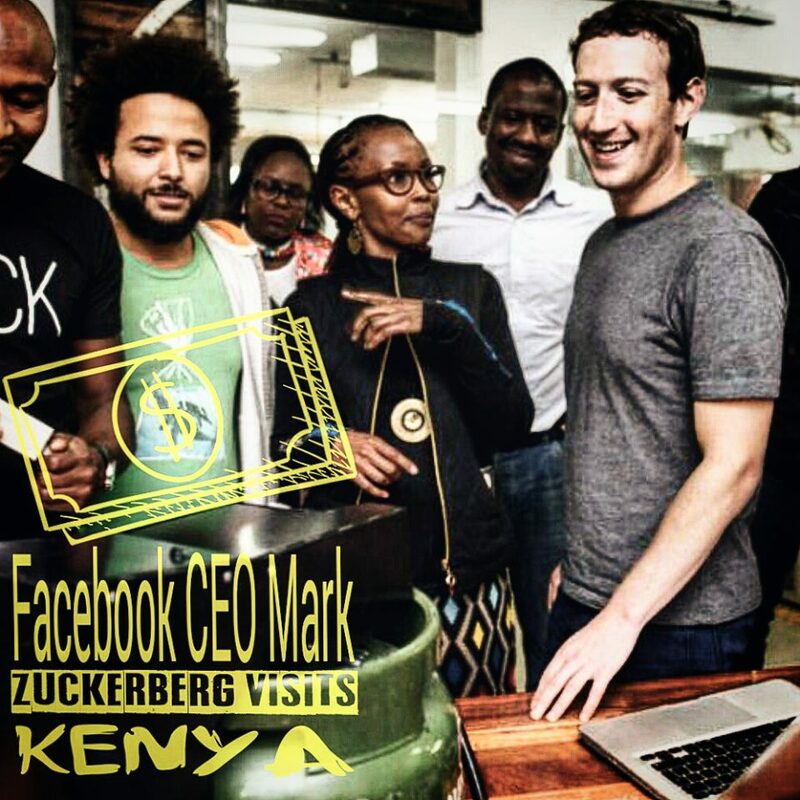 It’s about Mark Zuckerberg visiting Kenya. Do you remember going to the post office and having to get your letters weighed with something like this? I do and was utterly fascinated by it as a child. 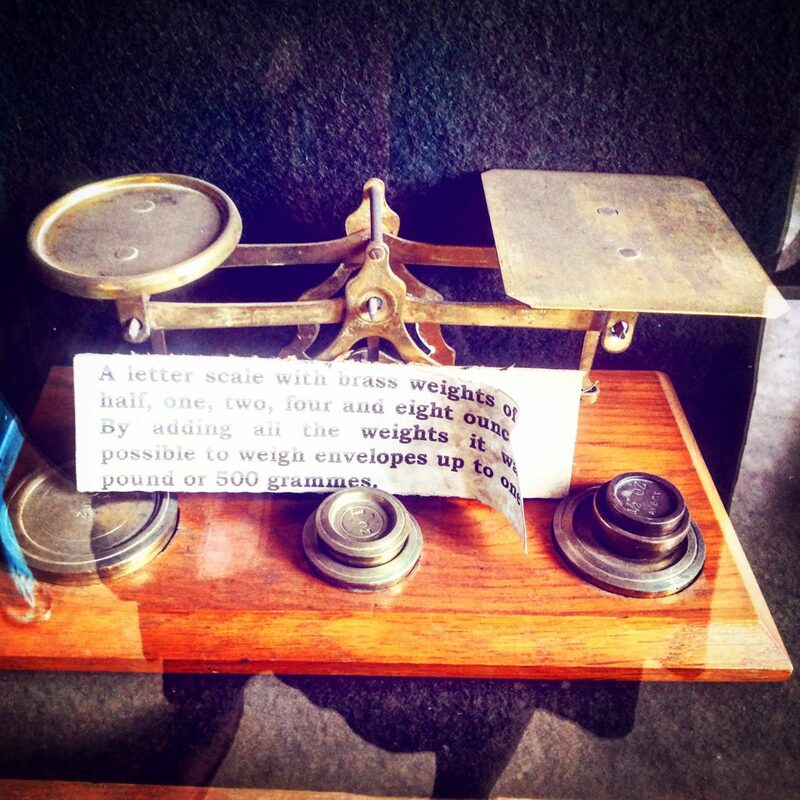 This old letter scale is housed in the Nairobi Railway Museum in Kenya. The writing on the paper reads: “A letter scale with brass weights of half, one, two, four, and eight ounces. By adding all the weights it was possible to weigh envelopes up to one pound or 500 grammes.” Most letter scales were mechanical until the 1990s. I am still bemoaning the closure of No. 49 Cheese & Wine on Luthuli Avenue in Kampala, Uganda. 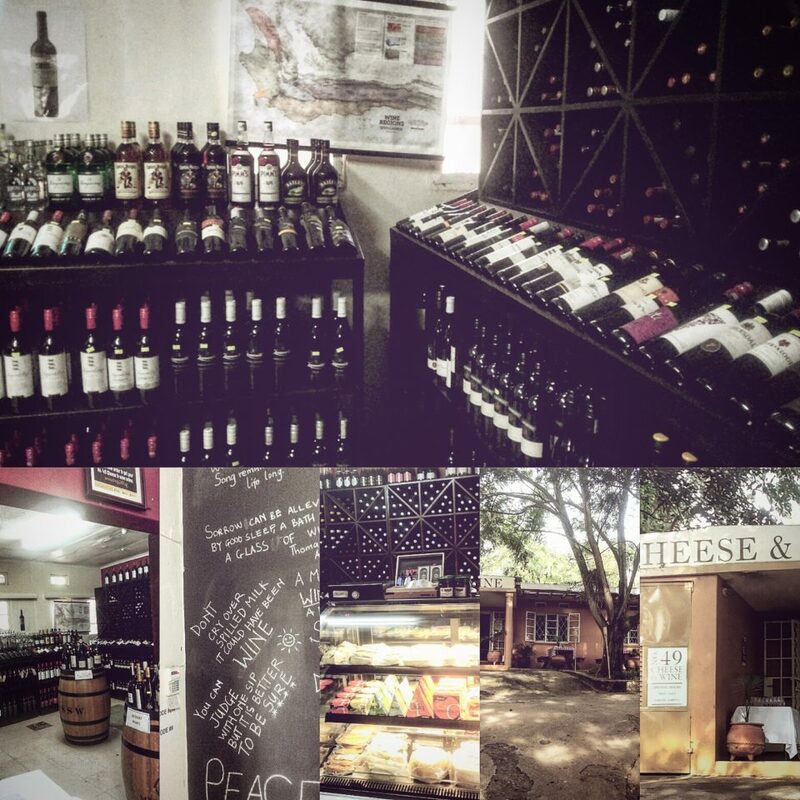 It was a seriously cute and well-stocked wine and cheese store. Kampala, Uganda to me is a city filled with simple pleasures. Hanging out in Kampala is not so much about where you go but who you hang out with. 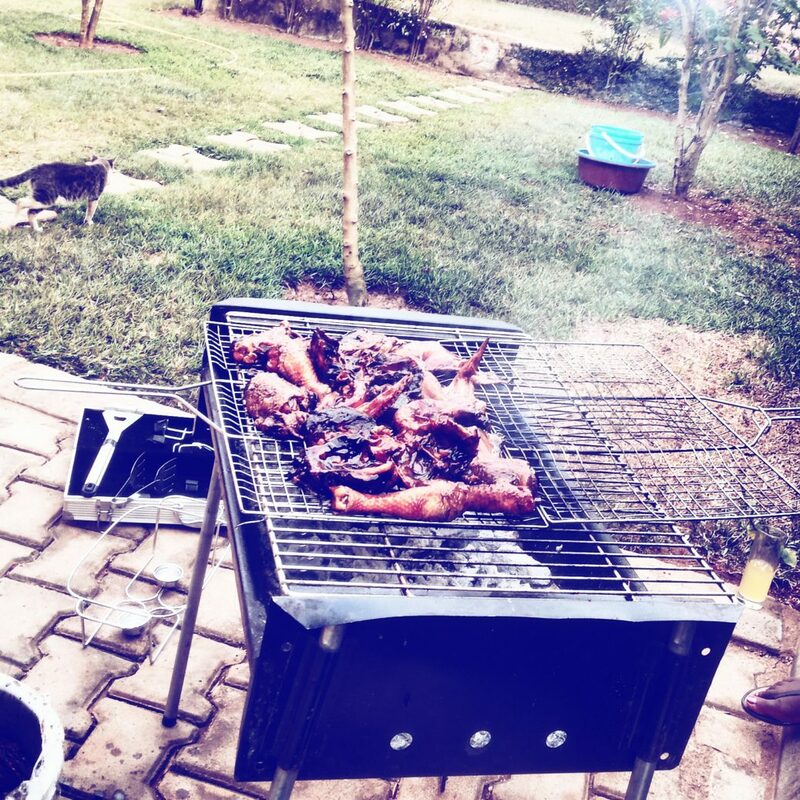 In Kampala, gathering around a crate of beer (or some Uganda Waragi) in someone’s backyard can be more fun than being at the most stellar cocktail lounge in another city. Kampalans themselves are all the fun you need! 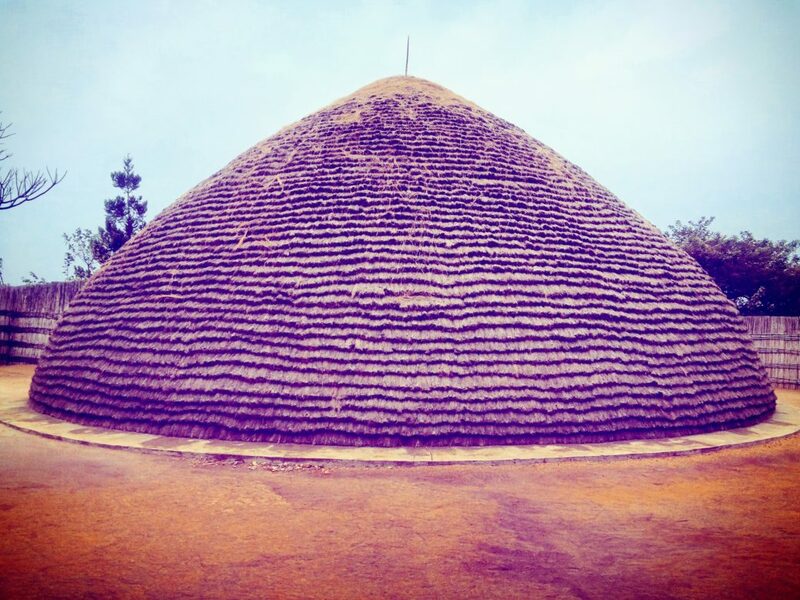 In my last picture (number 15 on this list), I shared a picture of the beer house at the King’s Palace Museum in Nyanza, Rwanda. This is the other beverage house, dedicated to milk and its derivative products. In the days of yore, it was manned by an unmarried female virgin. Why unmarried and virgin? Word has it that this was so that no man would have easy access to poison the King’s milk. I had heard lots over the years about @HeavenRwanda, a restaurant (and now boutique hotel ) in Kigali‘s Kiyovu neighborhood, so there was no doubt in my mind that I’d have to visit it on my next trip to Kigali. It turned out to be one of the best social evenings I spent in the country. Great food, lovely elevated outdoor deck, cocktails to write home about, and amazing service! If ever you are in Kigali, check it out. 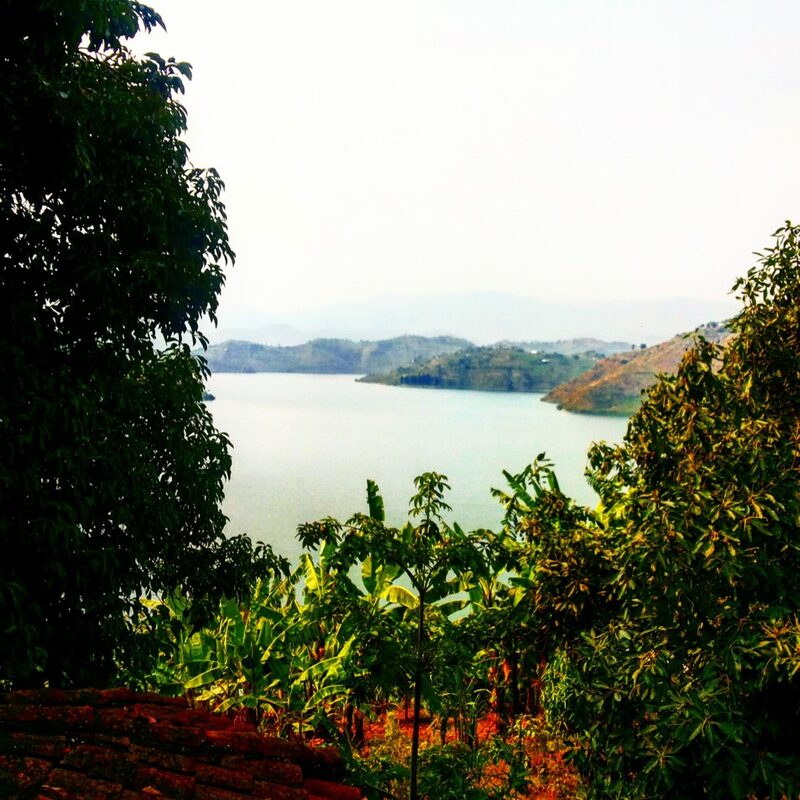 Whereas Kibuye in Karongi District, Western Rwanda had some of the most gorgeous scenes like those in my last 2 photos (Nos. 1 & 8 on this list), it also had some of the most gruesome reminders of what happened in Rwanda 22 years ago. In case one million people slaughtered in 100 days is too large a statistic for you to internalize, memorials like this one at the St. Jean Catholic Church and Home Complex allow you to look straight into the skull eye sockets of some of those killed, see their femurs, and realize that each of those bones represents a person just like you with hopes, dreams, a family, and a life…all brutally cut short. As though bungee jumping was not terrifying enough, the next day, I decided to go white water rafting for the first time. It was a lot of fun until about midway through the excursion I fell into a Grade 5 rapid called “The Bad Place” where I stayed under for a lot longer than was comfortable. 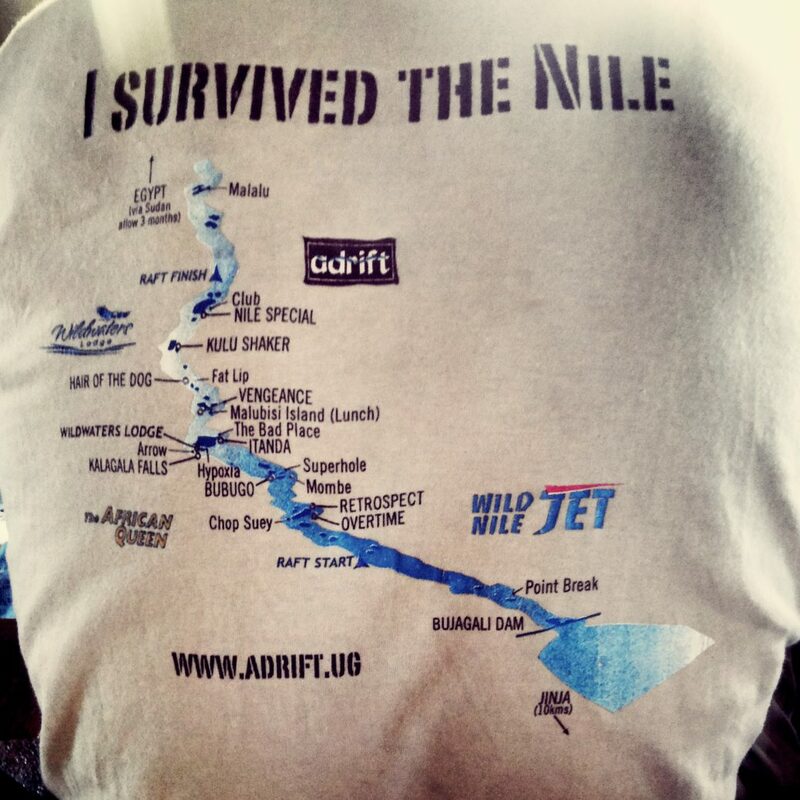 When I saw someone wearing this shirt, I had to take a picture of it because it expressed exactly how I felt: I survived the Nile! All I can see are horns, horns, and more horns! 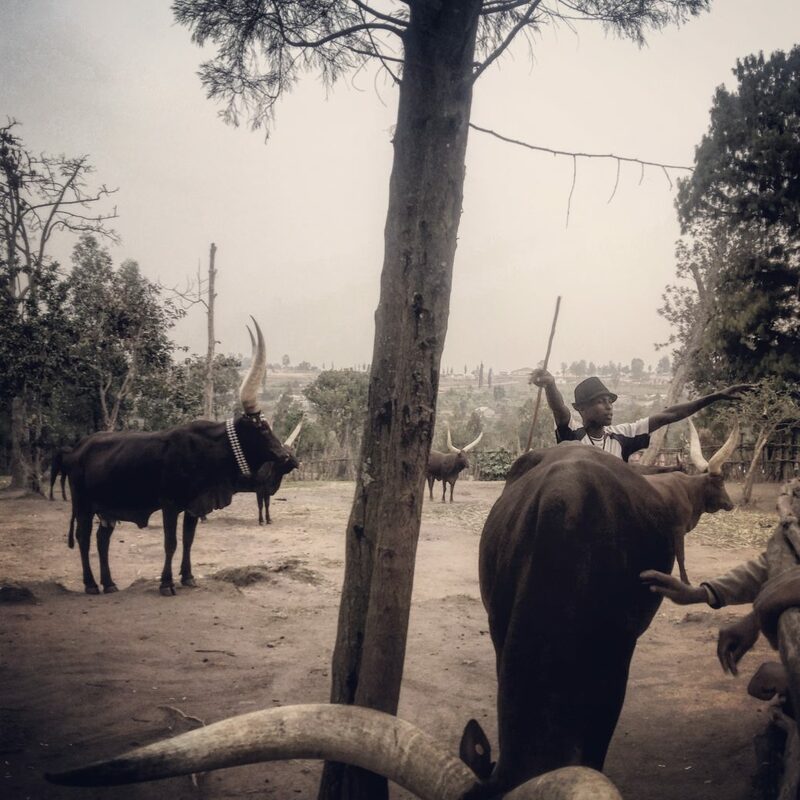 Longhorn Inyambo cows at the King’s Palace Museum in Nyanza, Rwanda. 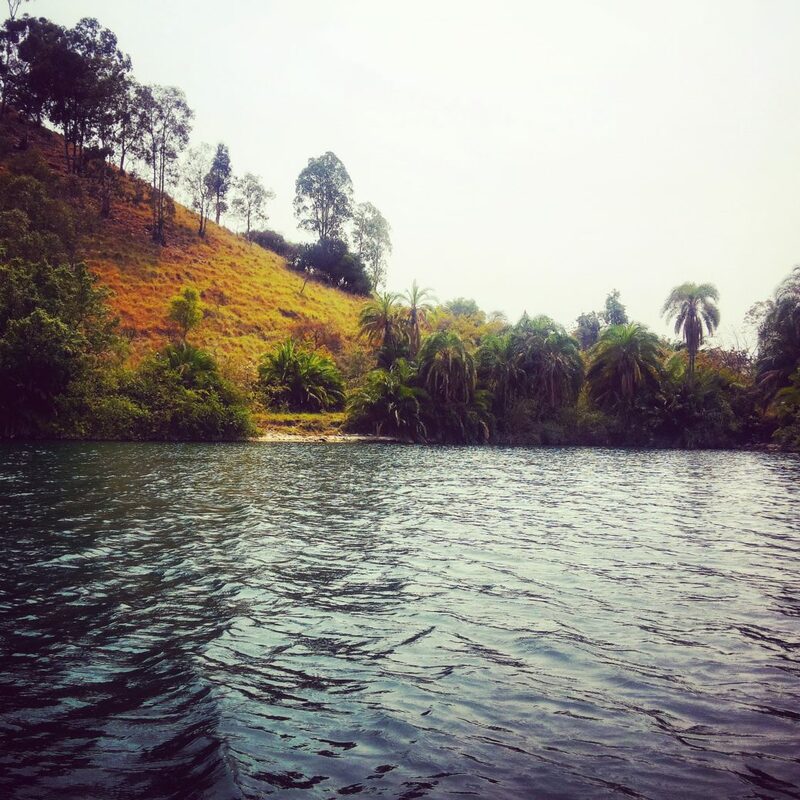 The female Sempaya hot spring at Semuliki National Park, Uganda. Water temperature: 103°C. See more pictures taken at the Sempaya hot springs here. And how surprised I was to see, as I was going to chow down on some excellent Indian food at Haandi at The Mall in Westlands, Nairobi, that the establishment across it was no longer Tamambo of the high bar stools and the fabulous cocktails but rather a place called Bar B.Q. Tonight. Gosh, I’d spent many wonderful nights at Tamambo in my lifetime! Hippos and a crocodile at the hippo pool in Mikumi National Park, Tanzania. This view is so typical of Kampala, Uganda. 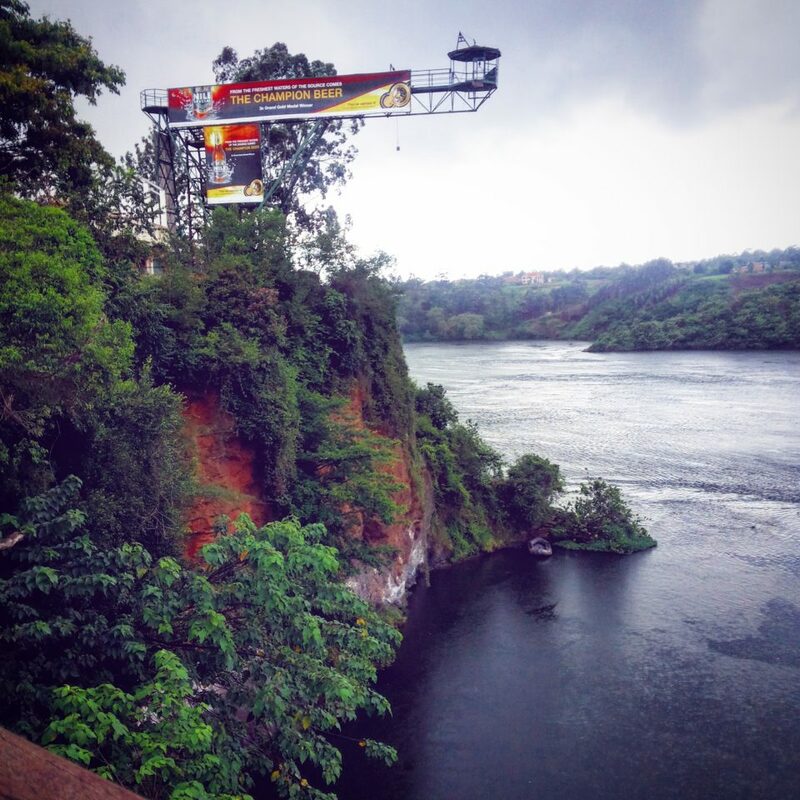 Originally known as the City of 7 Hills, Kampala has now expanded to include many more. 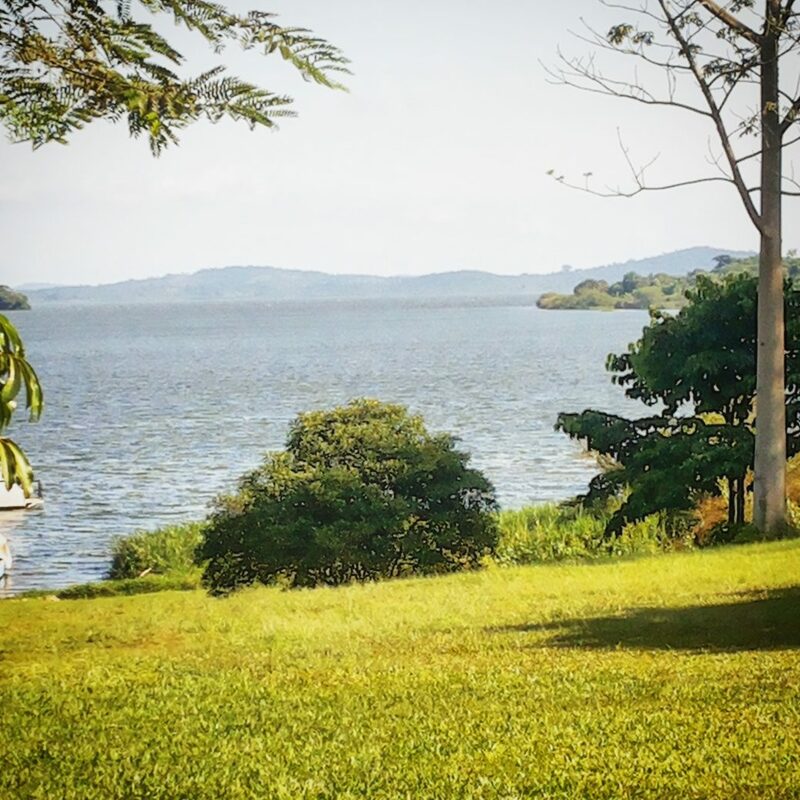 This means, therefore, that wherever you get a view of Lake Victoria (the world’s second largest freshwater lake by area) in Kampala, you’ll also invariably see hills off in the distance. 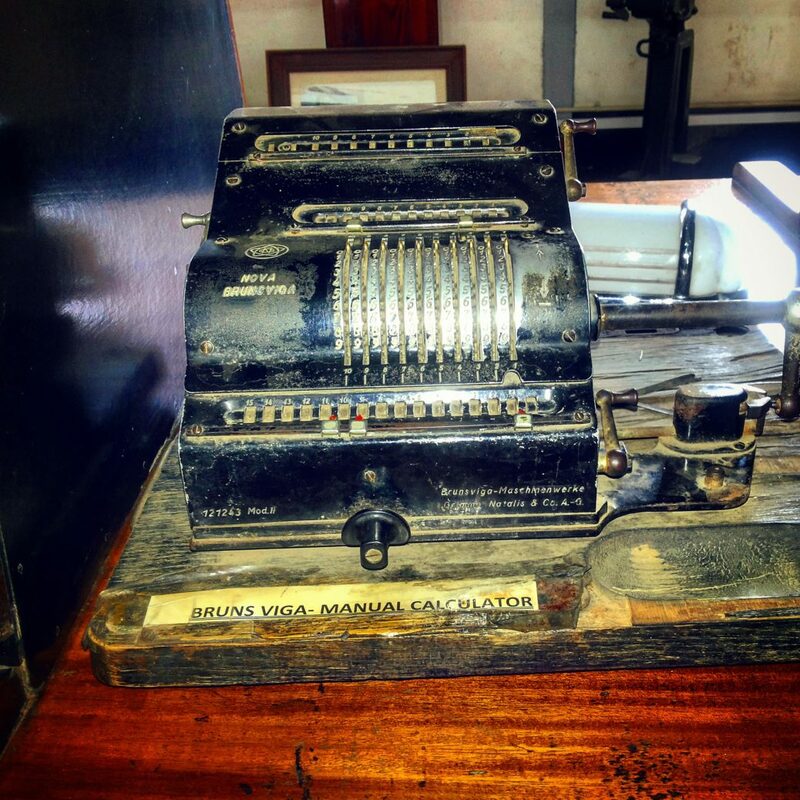 This is not an old cash register but a turn-of-the-century Brunsviga MANUAL calculator housed at the Nairobi Railway Museum in Kenya. 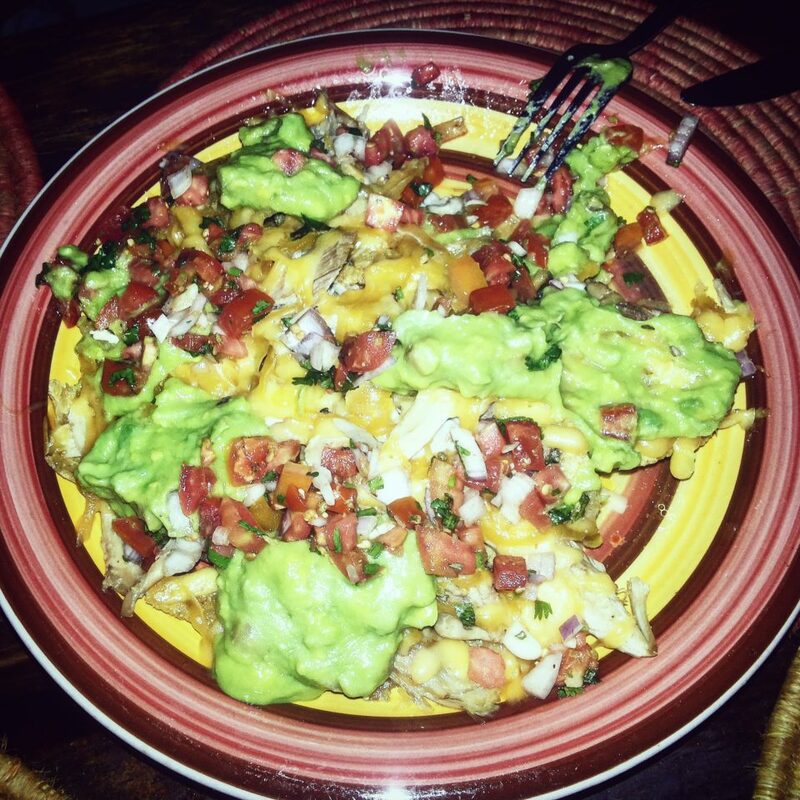 The nachos slathered in melted gouda, salsa, and guacamole at The Little Donkey in Kampala, Uganda are pretty hot too! 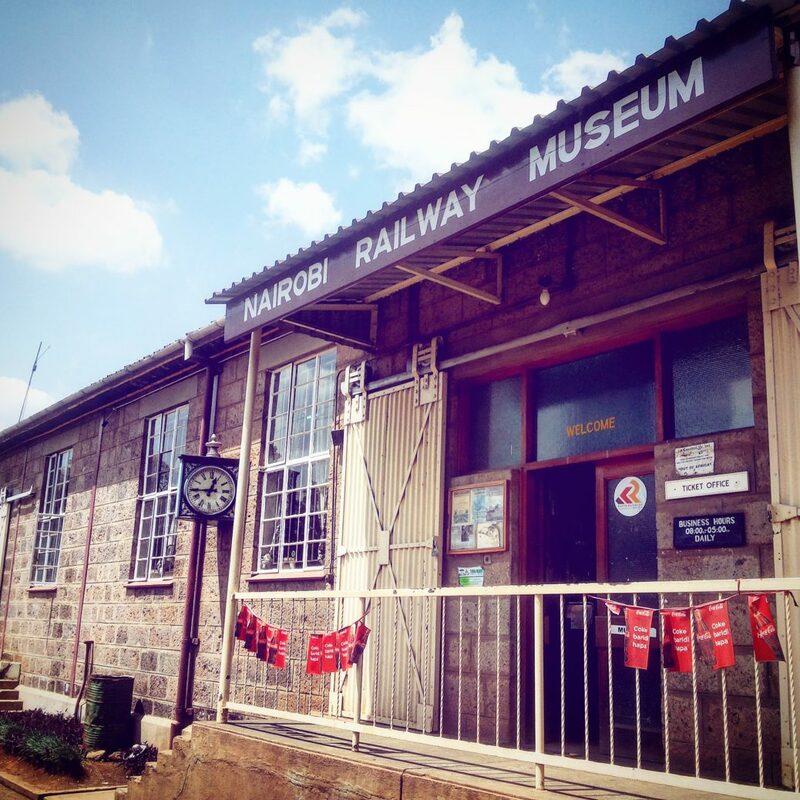 The Nairobi Railway Museum, located adjacent to the Nairobi Railway Station, is a treasure trove of colonial and post-independence East African artifacts. Spending the afternoon here brought to life so many stories my parents had told me about life in their teens and twenties. If you are in Nairobi and have never been, I urge you to check it out. It’s a lot of fun and you even get to climb into old trains. 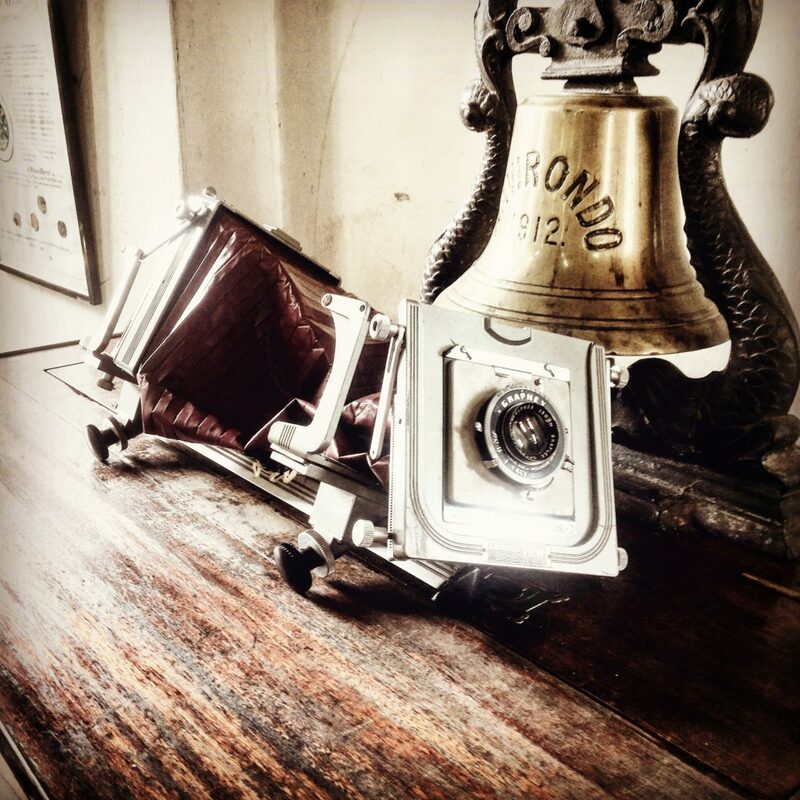 Parts of an early 20th-century camera at the Nairobi Railway Museum. I took my last picture (no. 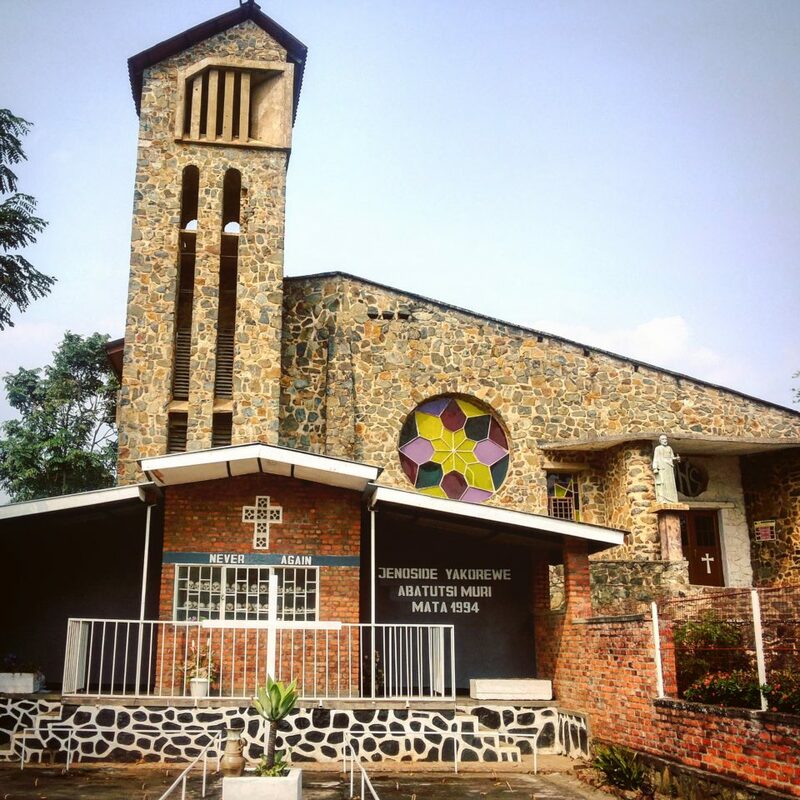 4 on this list) standing at the St. Jean Catholic Church and Home Complex in Karongi District, Western Rwanda where one of the most gruesome massacres of the Genocide against the Tutsis occurred on April 17-18, 1994 (death toll in and around the church: 11,000). I had heard of this and many massacres that occurred in churches where people had run for safety, but since people were able to break in and hurt the people inside, I always thought the churches were weakly-built up-country churches that could do little to keep people out. I was stunned by how solid and beautiful the St. Jean Church was and by its capacity. Today there stands a powerful memorial in front of the church. 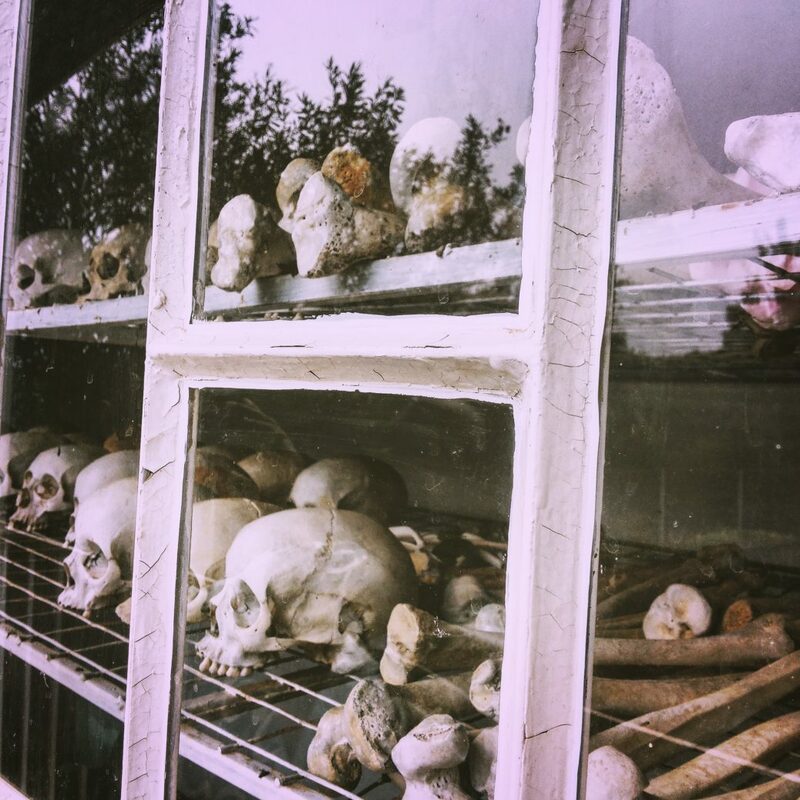 The signage on it reads “Never again” above a room displaying skulls of some who were killed here and “Jenoside Yakorewe Abatutsi Muri Mata 1994” (The genocide committed against the Tutsi in April 1994). 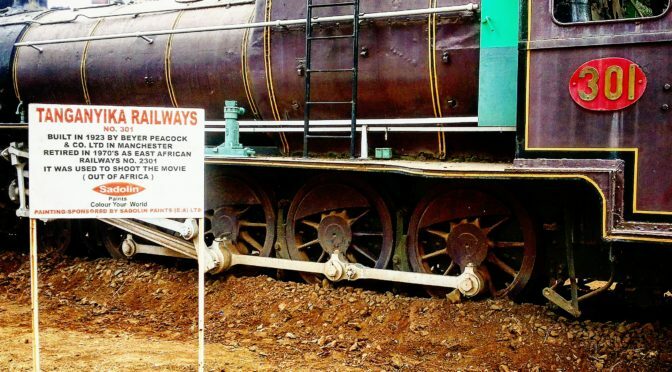 A former Tanganyika Railways train (Tanganyika is the former name of mainland Tanzania) used to shoot the award-winning movie “Out of Africa“. 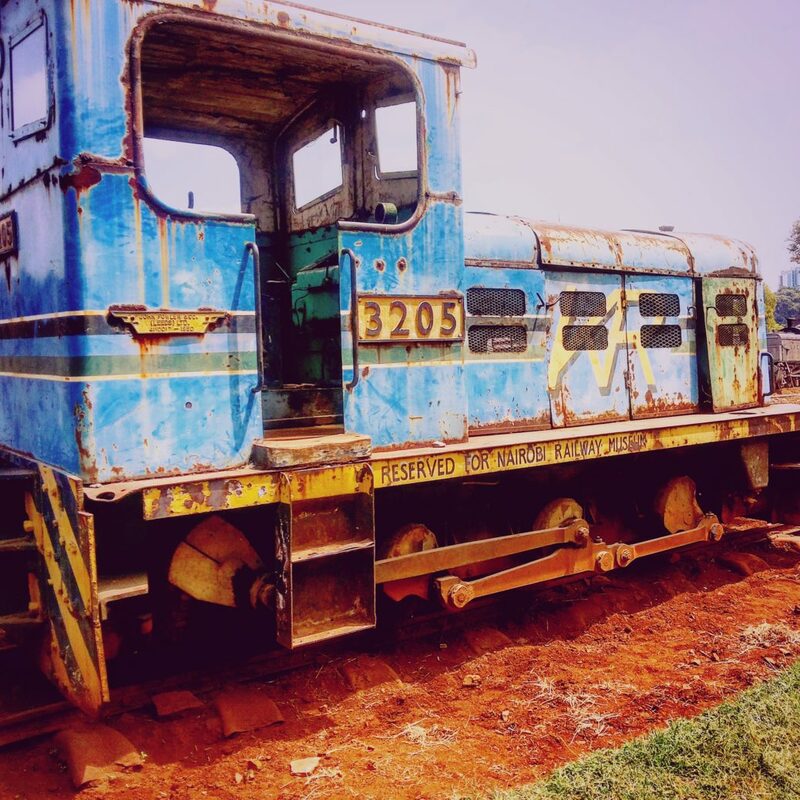 This train is currently housed at the Nairobi Railway Museum in Kenya. 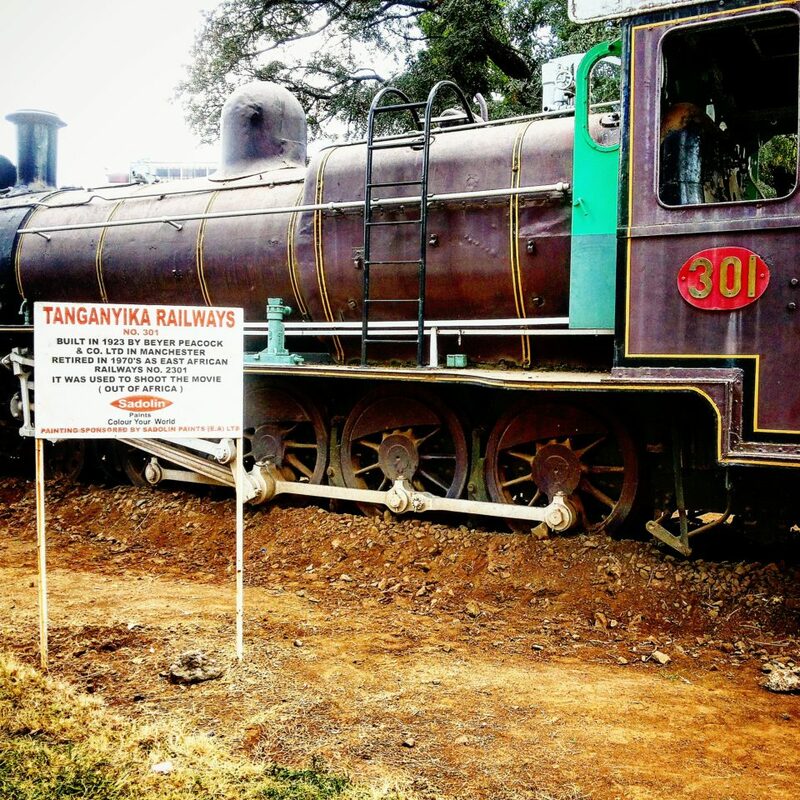 The sign reads: Tanganyika Railways No. 301/ Built in 1923 by Beyer Peacock & Co, Ltd in Manchester. Retired in 1970’s as East African Railways 2301. It was used to shoot the movie (Out of Africa). An old Kenya Railways John Fowler & Co. train head made in 1950 housed at the Nairobi Railway Museum in Kenya. 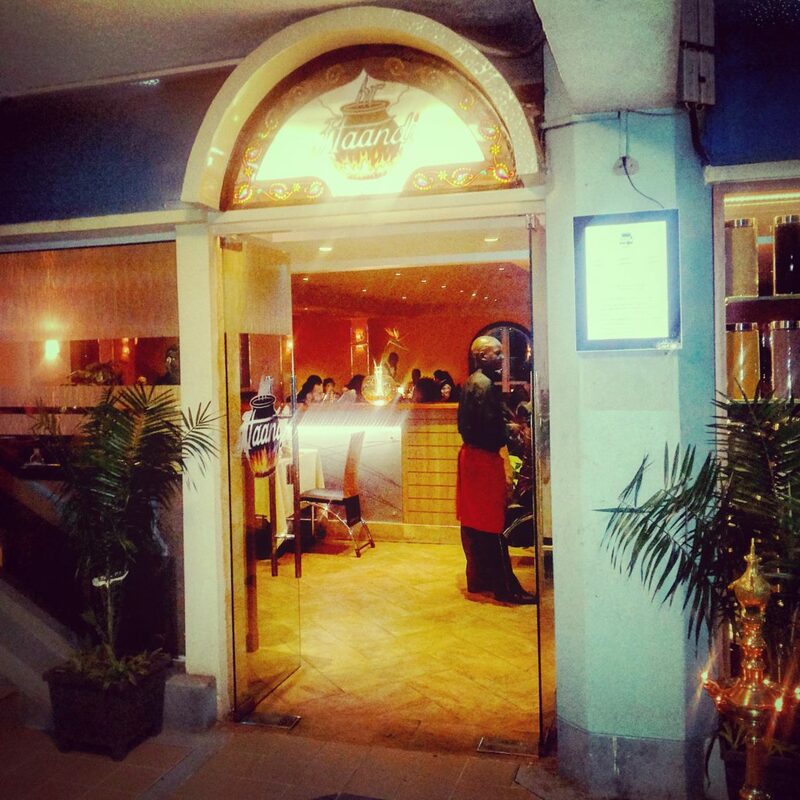 I have been eating at Haandi at The Mall in Westlands, Nairobi for almost two decades, and it still remains my favourite Indian restaurant in Nairobi. 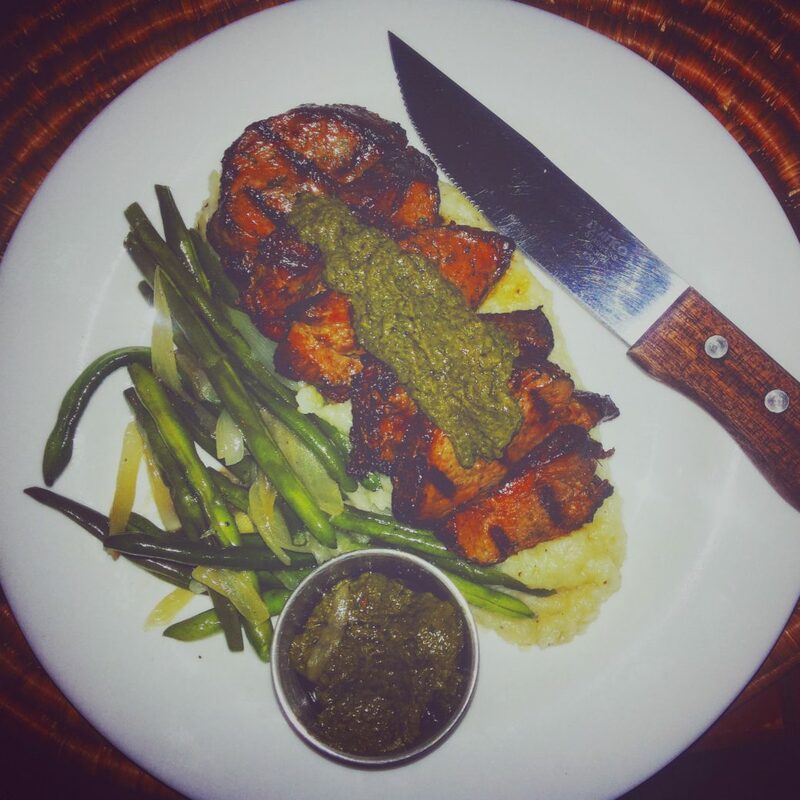 The food is unbeatable and the service and ambiance worth writing home about. 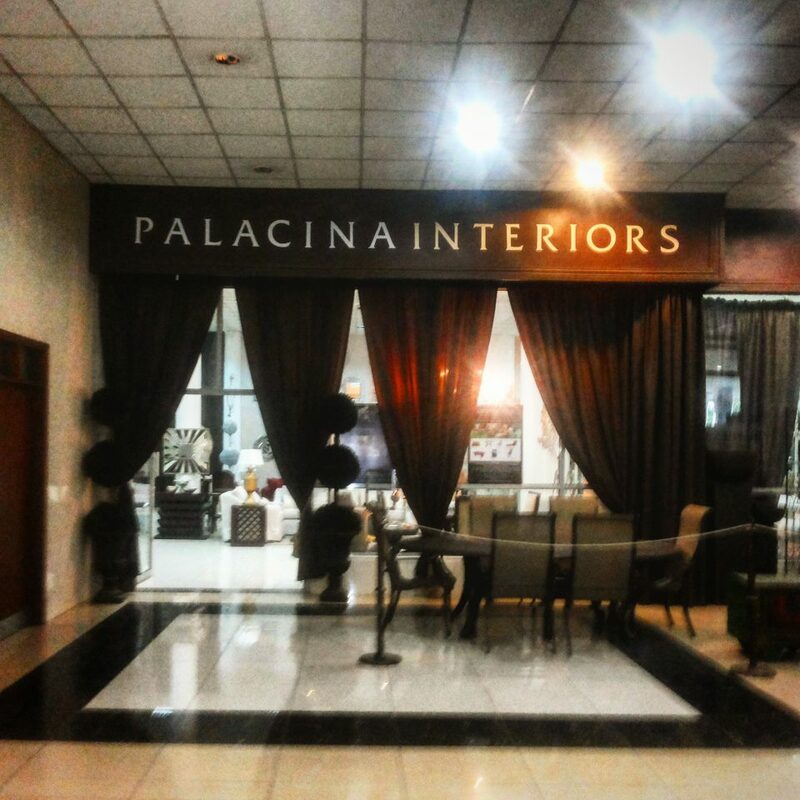 It was so nice to be in Nairobi again after so long and to discover this @palacinainteriors store in the Panari Sky Centre where everything was so beautiful and stylish I wish I could take the whole store home. 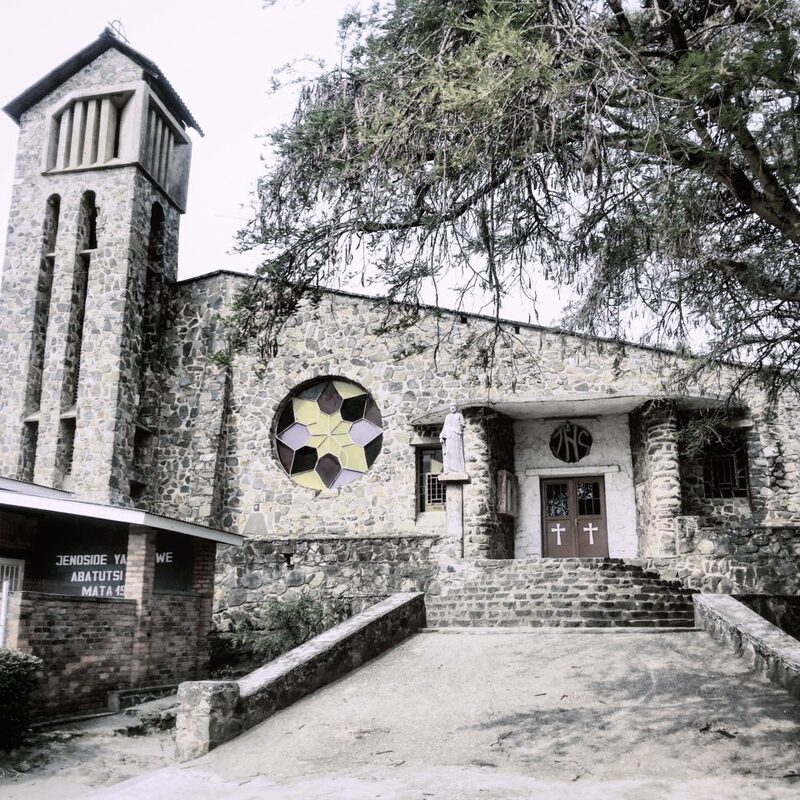 It was also particularly nostalgic for me because the Moonflower restaurant at the Palacina Residence & Suites on Kitale Lane used to be my default evening drinks/dinner location when I first moved to Nairobi in the early 2000s. 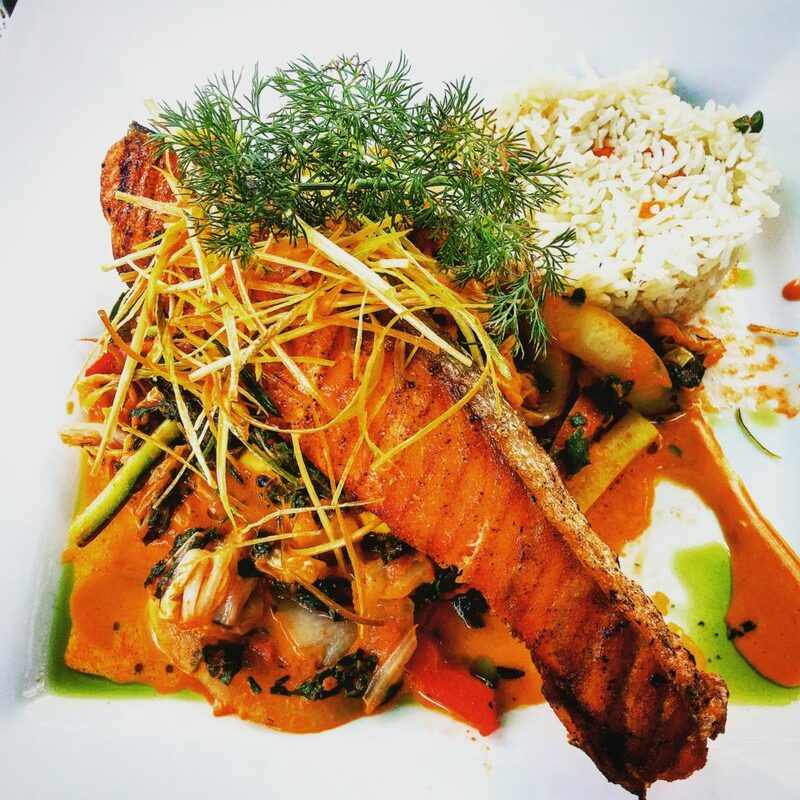 This grilled salmon at the Mukutan Garden Café at the Fairview Hotel in Nairobi (find out more about and/or book your stay at the Fairview hotel here) remains firmly impressed in my mind and on my palette for its perfection and flavor. Perfectly flaky and fresh with its seasoning of dill. It was the prefect dish to have in the restaurant’s fresh green gardens. 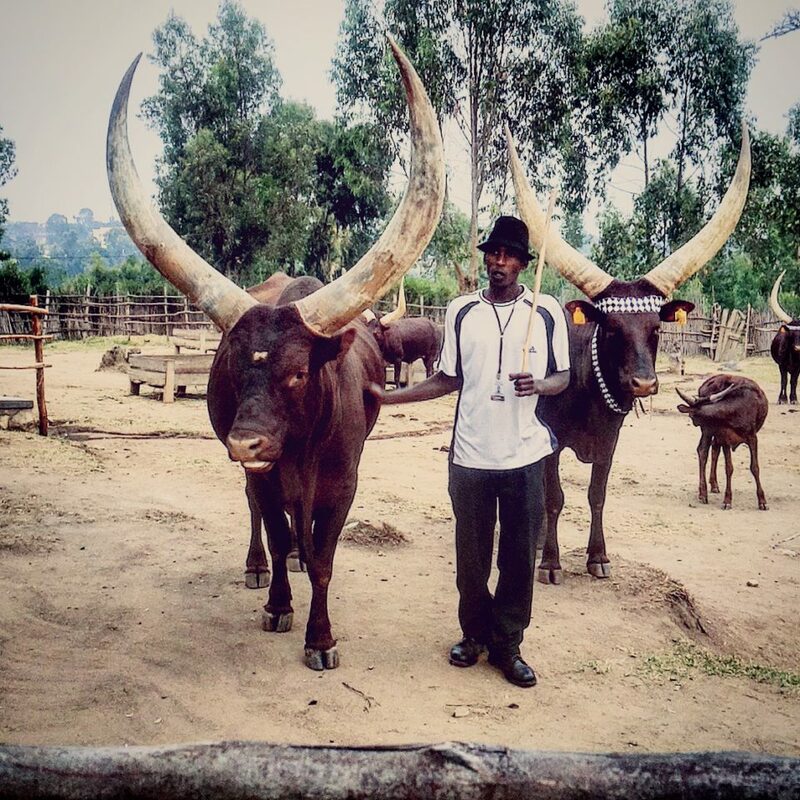 A herdsman strikes a pose as he sings, whistles, and recites poetry among the cows at the King’s Palace Museum in Nyanza, Rwanda. 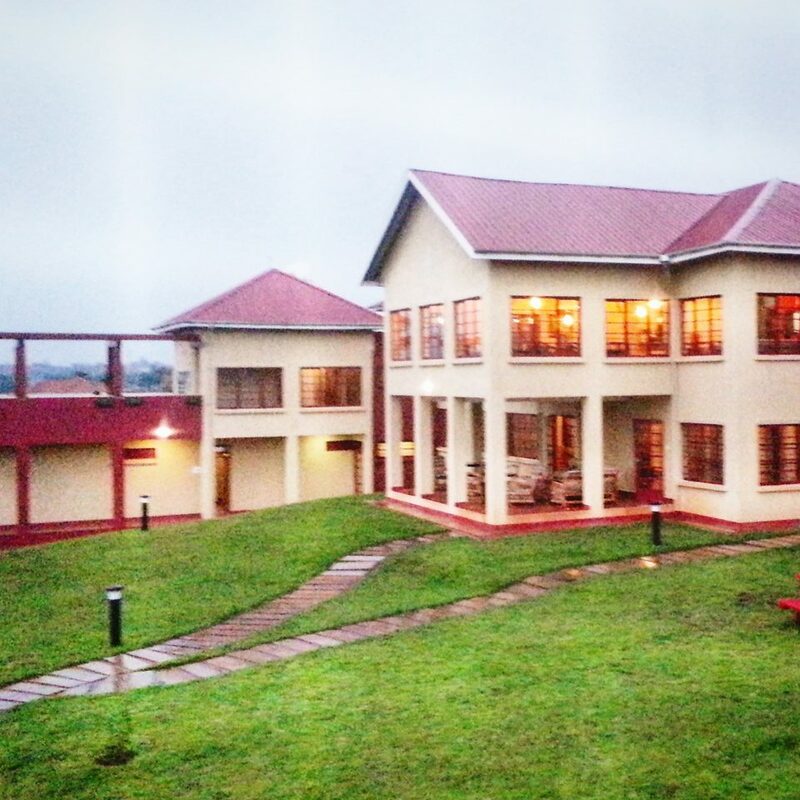 If ever you are in Kampala, Uganda and are looking for budget accommodation, then I couldn’t recommend more highly the Red Chilli Hideaway with its new purpose-built location in Butabika. Although it’s a bit out of town, Red Chilli offers a complimentary shuttle service, 3 times a day, to and from downtown Kampala. Good food, a well-stocked bar, 4G internet, a swimming pool, and very convivial atmosphere. What more could you ask for at those prices (as low as US$7 for campers and US$40 for a double room en-suite)? A long time ago, I wrote a post asking readers to tell me what their favourite East African museum was. 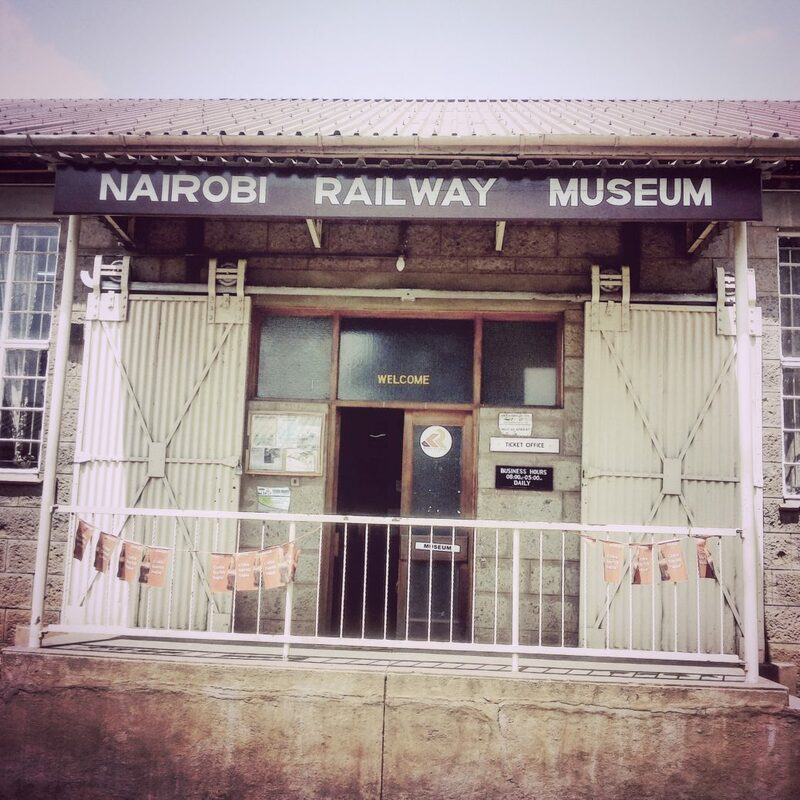 A reader named David answered: the Nairobi Railway Museum. Having lived in Nairobi for almost a decade (depending on how one’s counting), I was surprised at his answer because I’d never even heard of this museum. On my last trip to Nairobi, I made a point to check it out and my, oh my, was it a blast! If you are a museum buff and ever get a chance to check it out, please do. I trust you’ll enjoy it. 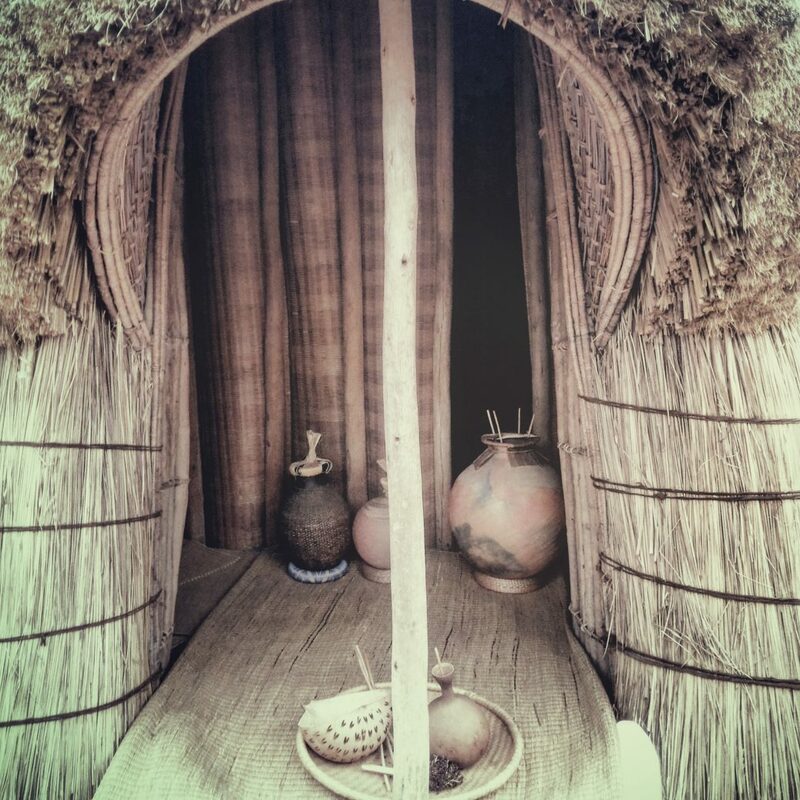 At the Rwandan King’s court in Nyanza, Rwanda, two beverages were prized above all others with specially built houses dedicated to them, staffed with special keepers to man them: milk and beer. This here is the beer house where a male keeper would make/store beer and select the best beer of the day to send to the King’s court. The beer could be made of banana, honey, or sorghum. 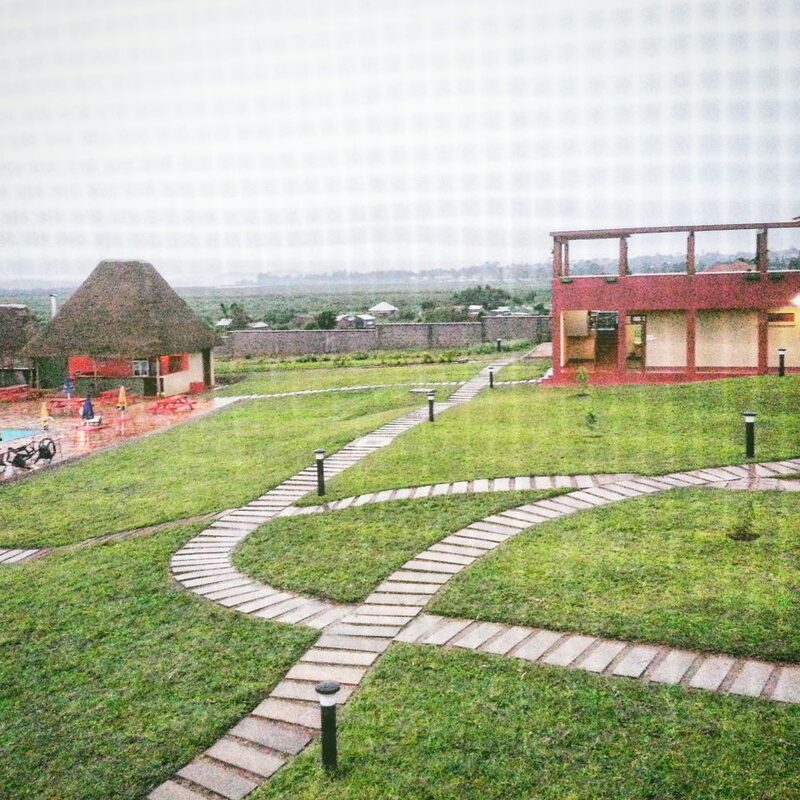 The beautiful grounds at the new purpose-built premises of Red Chilli Hideaway in Butabika, Kampala, Uganda (you can see the edge of the pool in this photo). It’s such a great deal for budget accommodation. You get very good value for your money! 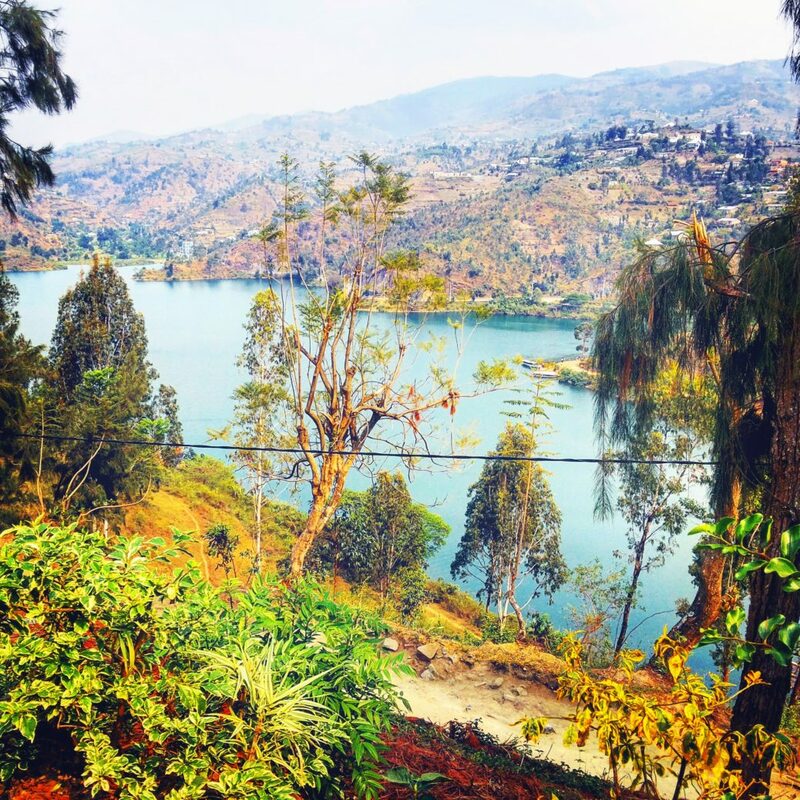 I had often heard Rwanda referred to as a landlocked country so I never expected to have any meaningful water experiences in Rwanda. 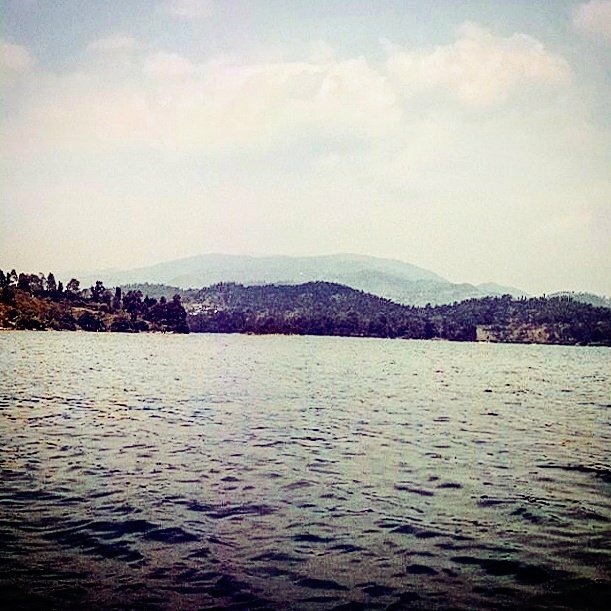 And then I found myself at beautiful Lake Kivu. I cannot say it enough: if you get a chance to go, please do. So peaceful, beautiful, and calm! 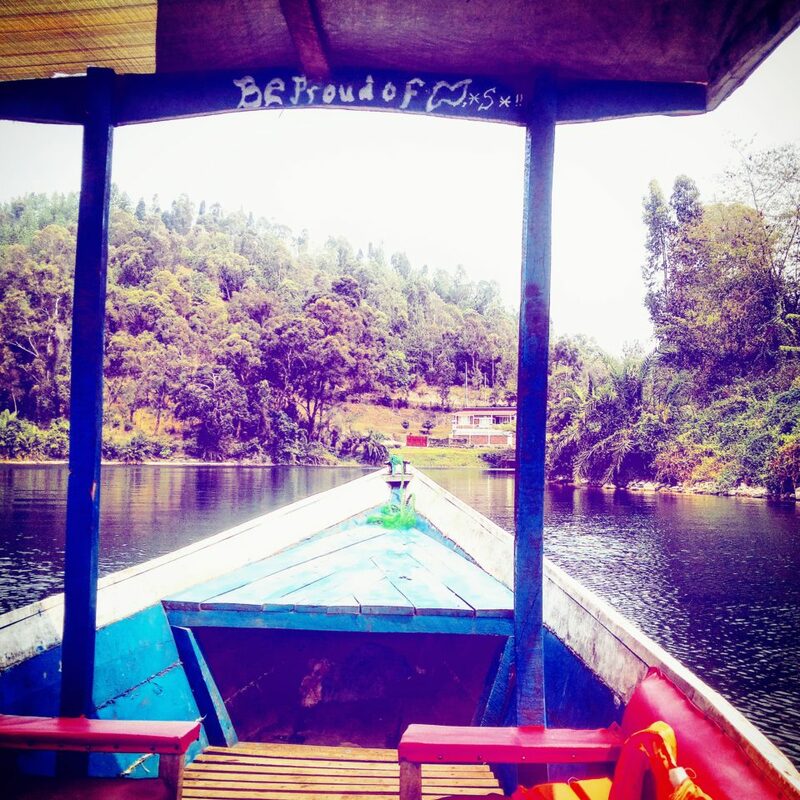 Boating in a rudimentary boat on Lake Kivu, Western Rwanda. The lake was so peaceful and calm and the boat low enough that I could run my fingers through the lake as we traveled along. Splendid! The arts related to cows and cattle keeping do not stop at complicated musical whistling like in my last video (no. 2 on this list). Here, a herdsman sings for (in praise of?) cows at the King’s Palace Museum in Nyanza, Rwanda. Can anyone translate what he is saying for me? More Rwandan artwork I saw on the walls of the Centre Béthanie guesthouse in Kibuye, Western Rwanda. 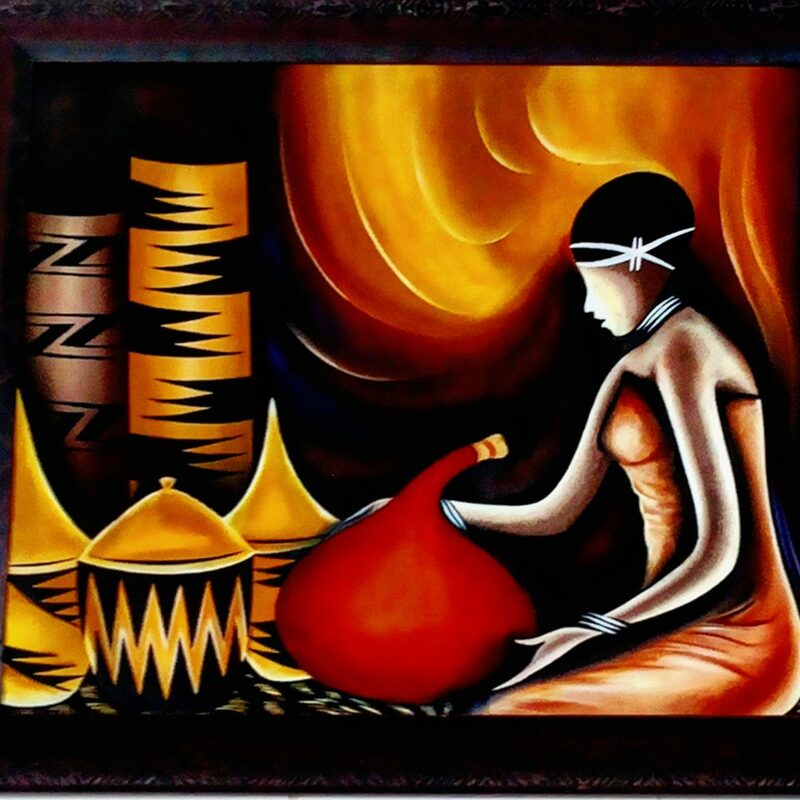 This time, the painting is of Rwandan women dancing traditional Rwandan dance. Near Kibuye in western Rwanda are these falls known as the Ndaba Falls. The best part of visiting the falls are the kids who act as local guides here. They’ve memorized their spiel in 7 languages (most of them foreign) and they’ll tell you the story of Ndaba in the language of your choice for a little change. Be mindful not to ask them a question in the middle of their presentation, though, because then they’ll have to start again from the beginning.  Such a hoot! Long ago, there lived a man named Ndaba. One day, Ndaba was in the forest searching for honey with men from his village. As he was walking, he spied a rock with a great crack in it. Bees were buzzing in and out of the crack, so Ndaba decided to climb the rock to investigate. At the top, he saw that deep inside the rock there were enormous honeycombs dripping with honey. Ndaba shouted to the other men, and then climbed down into the rock to investigate. When he reached the bottom, he began stuffing himself with honey using both hands. 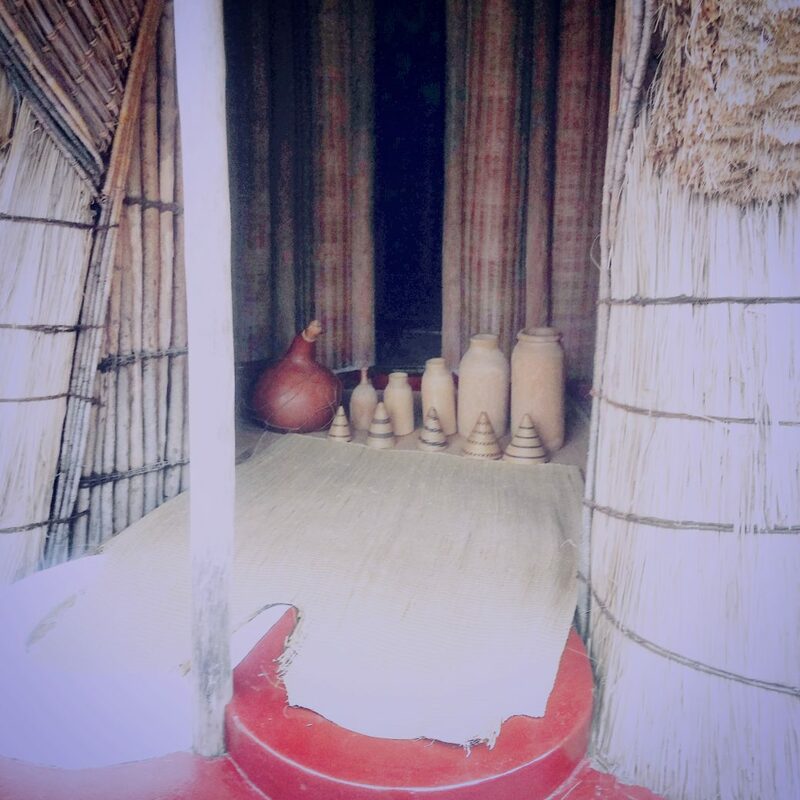 The rest of the honey seekers soon arrived, and lowered down pots so Ndaba could fill them with honey. Ndaba started to fill the pots with honey, but the temptation was too great, and he continued to eat more honey than he put into the pots. Soon the other men outside the rock started to become impatient. They started yelling down to Ndaba, saying, “hurry up Ndaba, it is going to be dark soon!" Ndaba paid them no heed even when the men started shouting angry words at Ndaba. Nothing they could say would make him hurry. Finally, the furious men pulled up their empty pots and left Ndaba there in the rock. Ndaba was so engrossed in the honey that he didn’t notice when the other men had gone. When he finally had eaten his fill, he tried to climb back out of the rock, but the walls were too slippery. Try as he might, Ndaba could not find a way out of the rock, and to punish him for his greed the other men did not come back to help him out. Ndaba never did escape that rock, and eventually he died there at the bottom, next to the honeycombs. To this day the place is called Ndaba’s Rock. 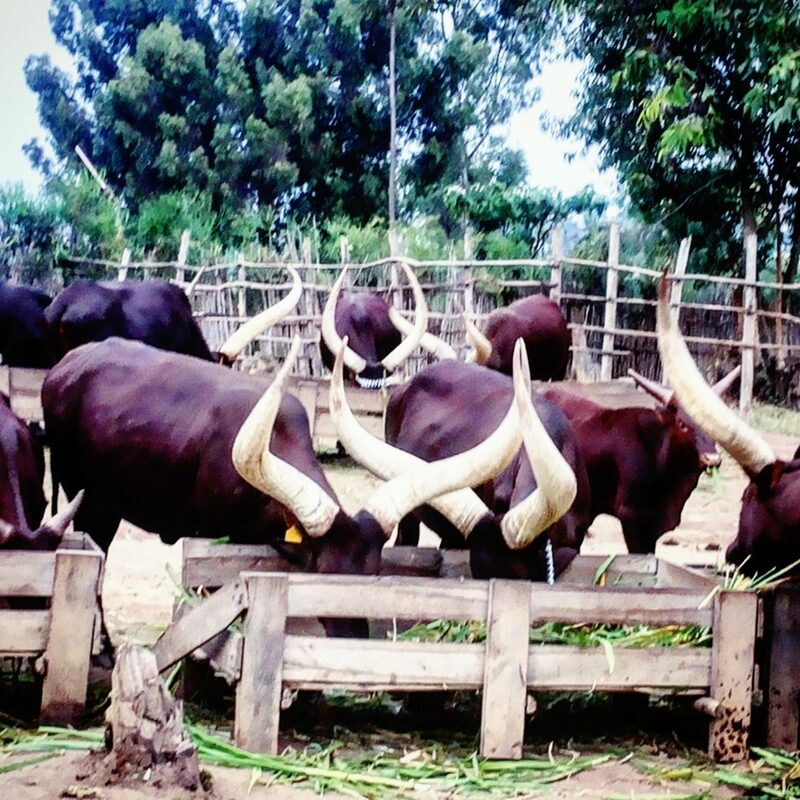 Inyambo cows at the King’s Palace Museum in Nyanza, Rwanda. I hope you enjoyed these pictures as much as I enjoyed sharing them with you. If you’ve got any questions or comments, let me know by leaving me a comment below. As always, I look forward to hearing what you have to say.